Stephen Tharp plays favorite hymns on the Skinner Pipe Organ at Holy Rosary Cathedral in Toledo, Ohio. “Joyful, joyful, we adore thee” and many more. Combine a Skinner Pipe Organ, Church Hymns, and Stephen Tharp at the console and you have a winning combination. These are simple hymn tunes, but with Stephen Tharp’s improvised, on-the-spot harmonizations, interludes and preludes. Stephen Tharp shows off the entire tonal range of this Skinner pipe organ from its most hushed strings through its thunderous reed choruses. The 1930 Skinner pipe organ, Opus 820, installed at the Cathedral of Our Lady, Queen of the Most Holy Rosary in 1931, is one of the very few extant pipe organs that represents the culmination of Ernest M. Skinnerâs lifetime of experience. A close study of this pipe organ shows aural and visual evidence of the Skinner design features from the prior quarter century, yet refined to a state of perfection. 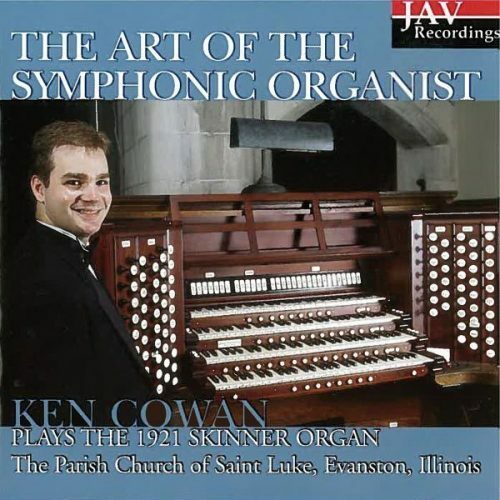 The evolutionary path indicates the influence of the many great organs, organists and organ builders who contributed to Mr. Skinnerâs expanding awareness of tonal possibilities. The clear, precise mixture choruses are balanced alongside prompt, bright and clear reeds, beautiful solo stops and lush, piquant strings across 4 manuals and pedal. 14 Ride on! Ride on in majesty!